A family business from inception to present day, the Hotel Cinzia and its restaurant are true reflections of the Costardi family. 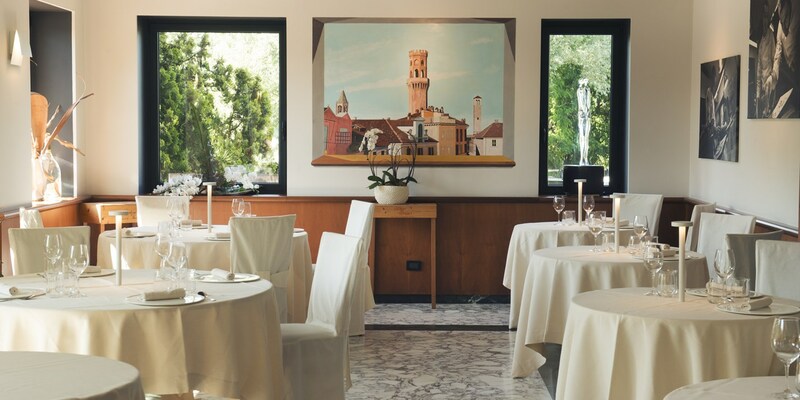 First opened in 1967, the bright and colourful Hotel Cinzia was the creation of Nino and Sandra; the grandparents of brothers Christian and Manuel Costardi who now run the hotel’s eponymous restaurant, which opened in 2005 and was awarded a Michelin star in 2009. 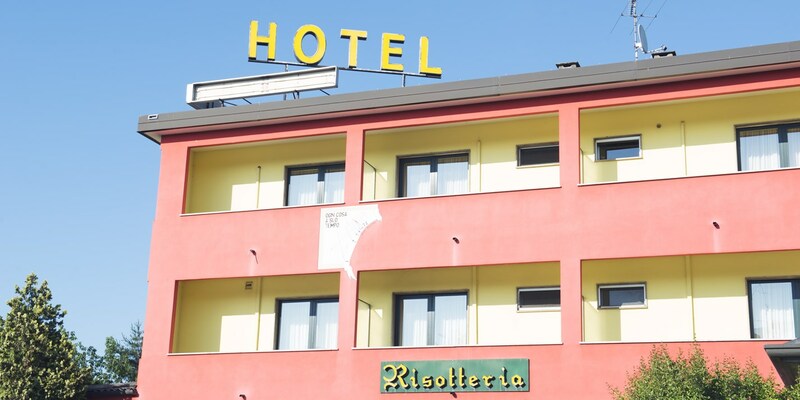 The hotel and restaurant are based in the town of Vercelli; just west of the bustling city of Milan, and in the north Italian region of Piedmont. At the foot of the Alps and near the borders with France and Switzerland, this region is full of diverse influences and wonderful produce, most notably luxurious truffles, meats, cheeses, and rice. Vercelli in particular is known for its vast rice fields producing Carnaroli rice, and as such this plays a large part on the menu at Ristorante Christian e Manuel. The restaurant itself is even known locally as a Risotteria in honour of these precious grains, with a special section of the menu dedicated to the twenty-plus risotto dishes created by the chefs. Connection with their surroundings is something that the Costardi brothers have built into their culinary philosophy, with four menus reflecting their kitchen principles: Evolution, Passion, Emotion and Territory. Evolution is the chefs’ signature menu, with ten dishes from the brothers design to look at ‘the past projected into the future’, while the other three are more restrained tasting menus, with Emotion focusing on fish and seafood, Territory on meat, and Passion on both, but all designed to offer the diner the ultimate gastronomic experience. This dining experience is completed with the mix of simple, modern décor and touches of memorabilia from the family. Christian’s dolce forno toy oven is a perfect example, displayed to remind the chefs and the diners that the brother’s passion for food started at an early age. Minimalistic lamps from designer Davide Groppi adorn the tables, while black and white photos of the brothers at work hang on the walls. 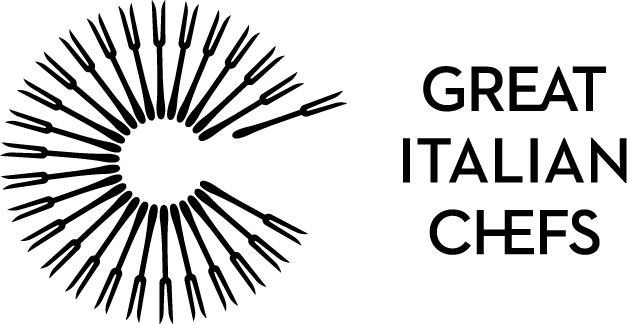 In addition, the wine cellar includes a choice of over 600 vintages from around the world, and a stay in the hotel itself is the perfect base from which to explore the town of Vercelli, and the surrounding Piedmontese attractions. The 'Passion' tasting menu created by the brothers is said to pay homage to the 1956 film documentary, The Silent World by French explorer Jacques-Yves Cousteau. Vercelli is known as the home of Carnaroli rice, with 70% of the rice grown here consumed within Italy itself proving its worth as a mainstay of Italian cuisine. An ideal escape from the tourist masses in Milan, Vercelli is within easy reach of its larger neighbour by train from Milan Centrale. It is then only a 5 minute taxi journey to the restaurant. If pizza and pasta are Italy’s two most well known culinary exports, risotto must be a close third. Half the rice grown in the country used in this famous dish comes from Piedmont, and there are risotterias – restaurants specialising in risotto – peppered throughout the region. 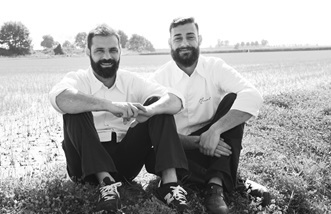 Christian and Manuel Costardi run one of the most highly regardedrisotterias at Hotel Cinzia, originally built by their grandfather in 1967. It’s here that they pay homage to rice, serving it in modern, inventive ways to diners who travel the world over to taste their risotto.